Hi everyone, I'm Iain and I live near Maidstone Kent. I didn't go out with the intention of building a Kit Car. My original plan was to purchase a 70's or 80's two stroke motorcycle to lovingly restore. However, after a motorcycle accident my plans changed and I started looking at Kit Cars. I trawled the Internet reading about several kits that I liked the look of and comparing the pros and cons. The MEV Exocet ticked all of the boxes that appealed to me so back in November I went ahead and purchased my donor. 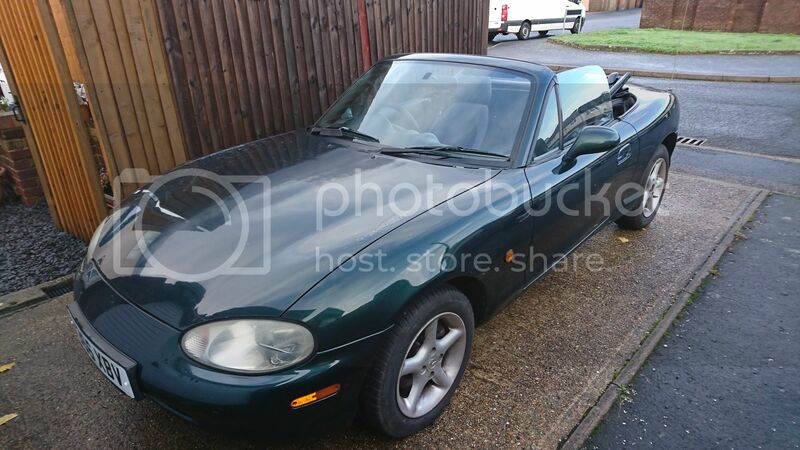 A 2000 mk2 1.6 MX5 with a nine month MOT for £650. Next came the dreaded strip down and shell removal. This went a lot easier than I thought and I managed to do it single handed. I now have garage full of parts ready to sell on. 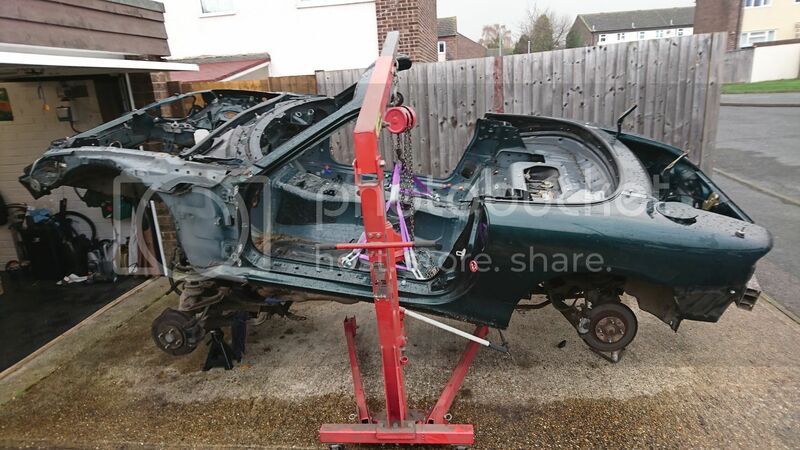 I decided that I would split the car into 4 sections for me to work on. The rear sub, front sub, gearbox and engine. First up the rear sub. 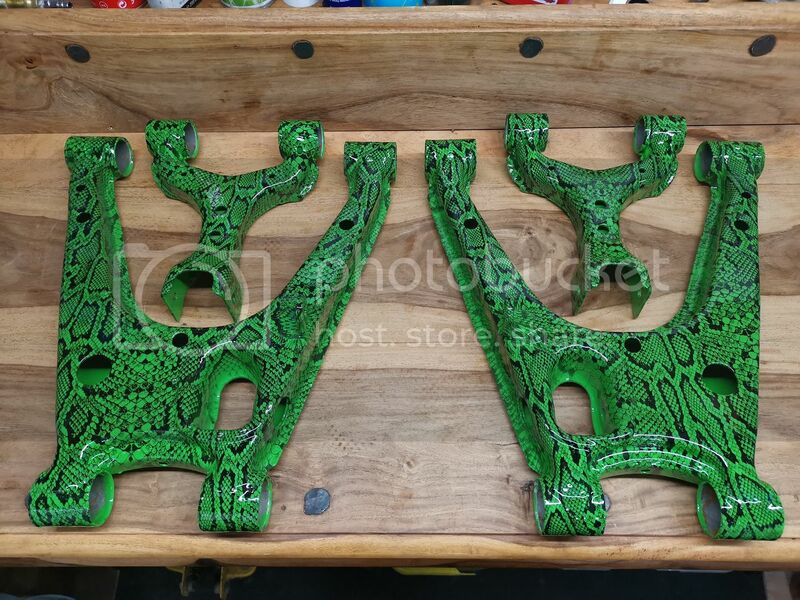 This was stripped, cleaned, blasted and then painted. I knew that I wanted to do something that would make mine stand out from the crowd so this seemed like the answer. So finally this weekend I started to put the rear sub back together. I don't spend a large amount of time on this new project as I've got to get my bike tidied up and sold to pay for my kit. 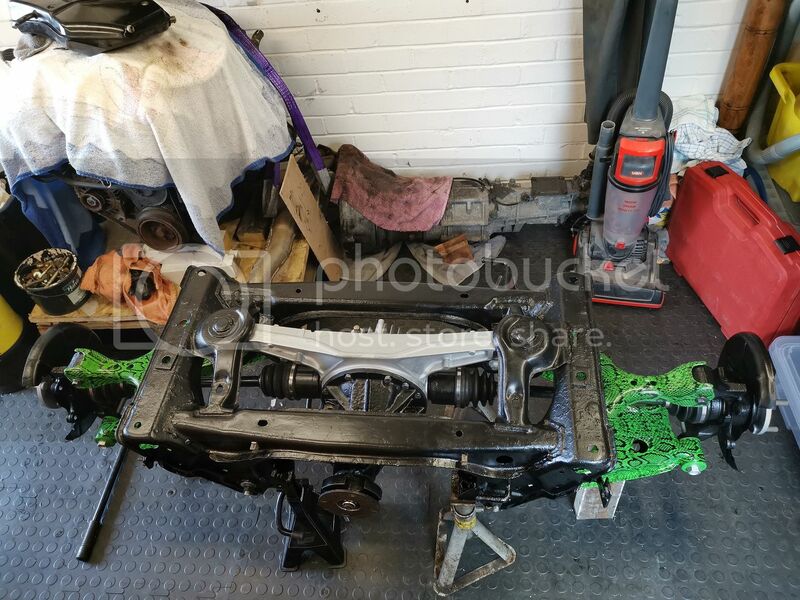 But as I progress through the build I will keep you all updated and will no doubt be asking loads of questions as I hit the more challenging parts. I do have one question that I hope someone out there can answer. Should I set up the camber angles now or should I wait until I'm further into the build? It just seems like now would be a good time as access is easy and I can get to the adjusters easily. Well that's all for now as I need to get on and replace the alternator on my bike that decided to fry itself at the weekend just as it looked like I had a buyer. Well I had a little time available this evening so thought I'd get on and finish putting the rear sub back together. 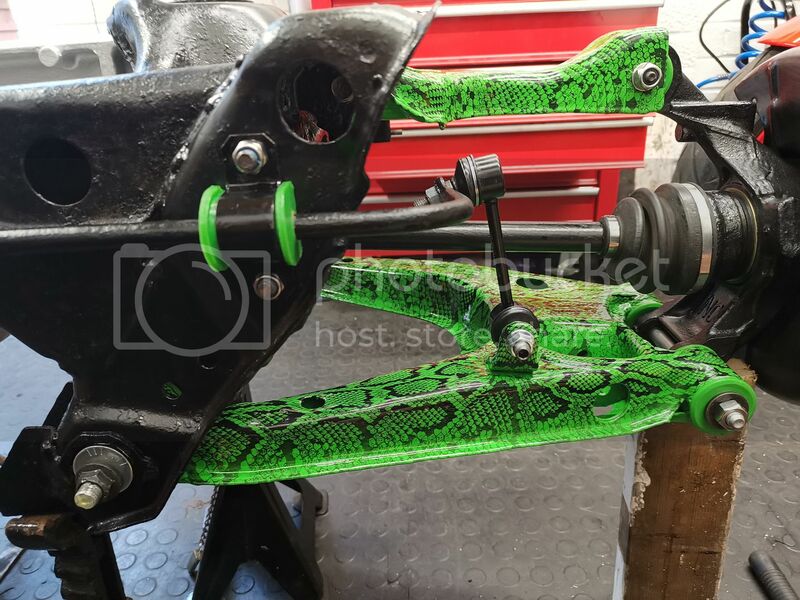 Anti roll bar and drop links done. Then in with the shocks. So now it's on with the gearbox which I'm just going to clean up and paint. I will be replacing the clutch. Not sure if I should fit a standard clutch or a lightweight one. What have others fitted and what benefits are there? 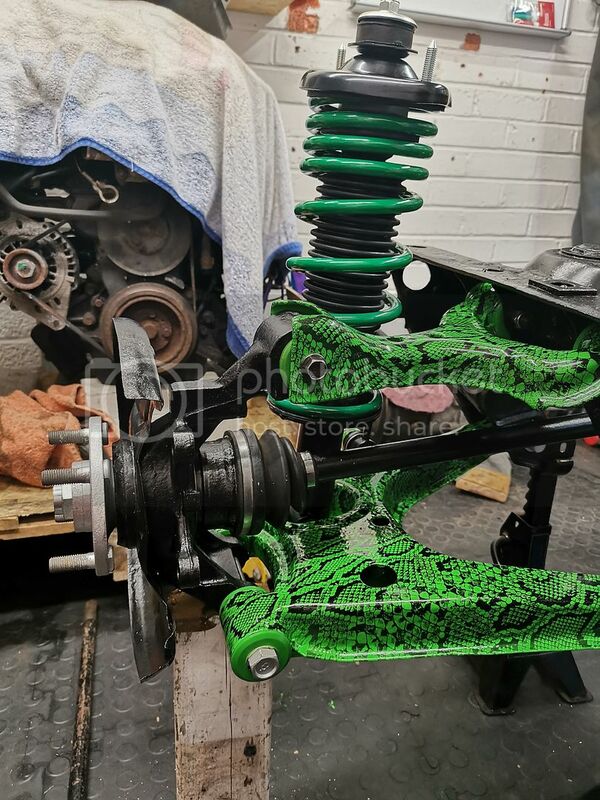 WOW, just WOW, I have never been so impressed with wishbones, they are fantastic, you have taken Mazda bits and turned them into a work of art !!! Thanks. The plan is to do the calipers as well as I think that the snake skin will look really cool behind a set of gloss black wheels. looks great can't wait to see how the car turns out keep posting updates on here.